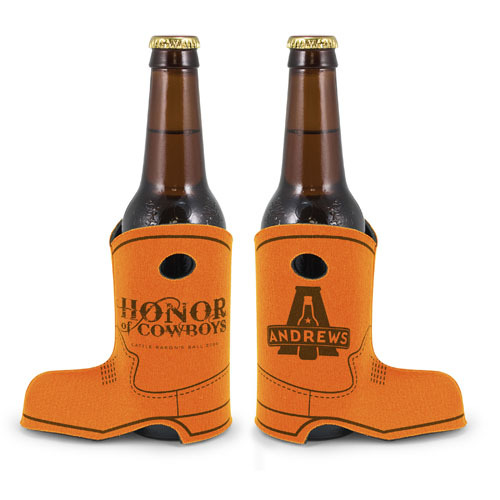 While you already know koozies for their ability to keep your drinks cool and your hands from getting wet, they also have other uses beyond those. When people get bored, or have a little too much to drink, they dream of the most usual uses for everyday items. Consider some of these more unusual, and sometimes silly, uses for your Coolies. Hats Everyone loves hats, especially at parties. If you have enough alcohol at your event, someone may just get the bright idea to put their Coolie on top of their head and wear it as a hat. While Coolies are designed to fit around a drink, and not a head, it will be a laughable moment at your event. Table Leg Cushions If you have a table that is scratching your wood floor, consider putting a Coolie on the end of each table leg. This prevents the leg from scratching your floor, and you get to use your Coolie in an unusual manner. Remote Holder Do you always lose the remote control for your television set? Keep it in a single, easy to find spot by storing it in a Coolie that you have attached to the wall with a nail or placed on the coffee table in front of your sofa. The Coolie can help to protect the remote from being damaged if it falls, and in serious cases, you can use the Coolie to hide the remote from others when you want to be the only one who decides what to watch on TV. Sock Caddy Keep your socks in your sock drawer organized by using a Coolie for each pair of socks. Try having different colored Coolies for different sock colors or styles so you can quickly and easily find a pair when you need it. Drink Holder Ah, the classic use for a Coolie. The many materials and colors you can choose from when ordering your Coolie allow you to customize it based on your budget and event. You can even get classic Koozies for holding and insulating your favorite canned beverage. If you choose to celebrate and event and have the Coolies as favors, consider putting out different colors of Coolies for your guests so they can use them for drinks at the party and be able to quickly identify their drink by the color of the Coolie. Maybe some of the above uses are just a joke! But drinking a warm beer is not fun at all. So dont forget your koozies for all of your outdoor activities.